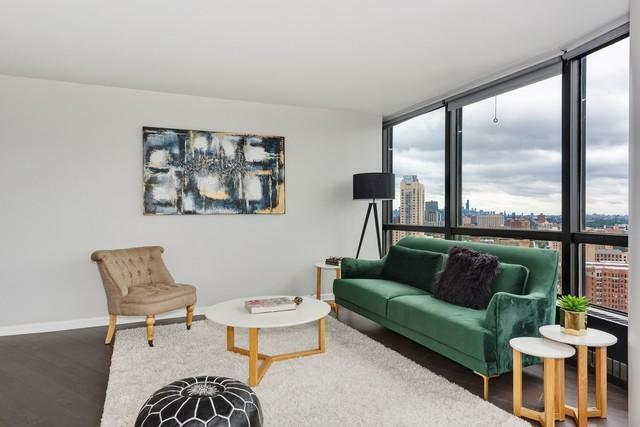 Oversized 2BR/2BA at the ever-popular Park Tower Condominium. 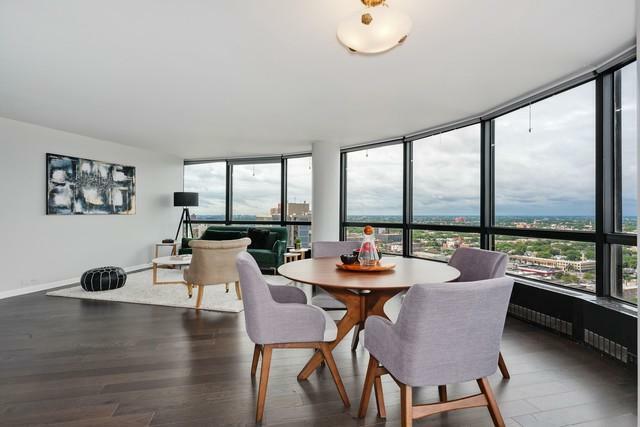 Unobstructed city and partial lake views are abundant from floor-to-ceiling windows throughout. Absolutely gorgeous brand new engineered hardwood floors in the living, dining, and both bedrooms. Expansive living/dining room accommodates large furniture. Unit is flooded with light from wrap-around windows. Split floor-plan with generous sized bedrooms, and plenty of closet space. Master bedroom has ensuite bathroom. Well-run professionally managed HOA. Full amenity building including onsite management, 24-hour doorman, dry-cleaners, sun deck, laundry facility, exercise facility, and in-door & outdoor pools (additional fee). Leased valet garage parking as well as guest parking available. 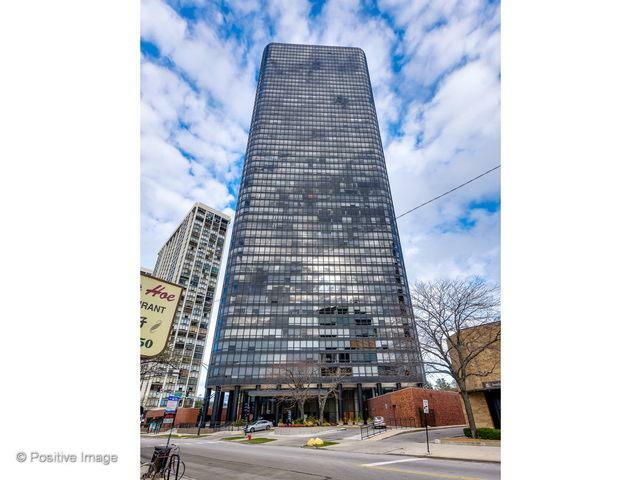 Fabulous Edgewater locale walking distance to Lake Michigan, Mariano's & Jewel Grocery stores, and tons of bars/restaurants. 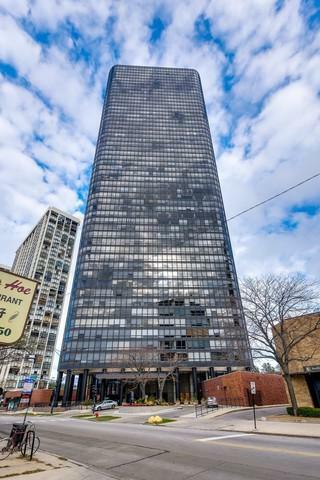 Commuters dream with numerous bus lines, short walk to the Berwyn Red Line, and direct access to Lake Shore Drive.